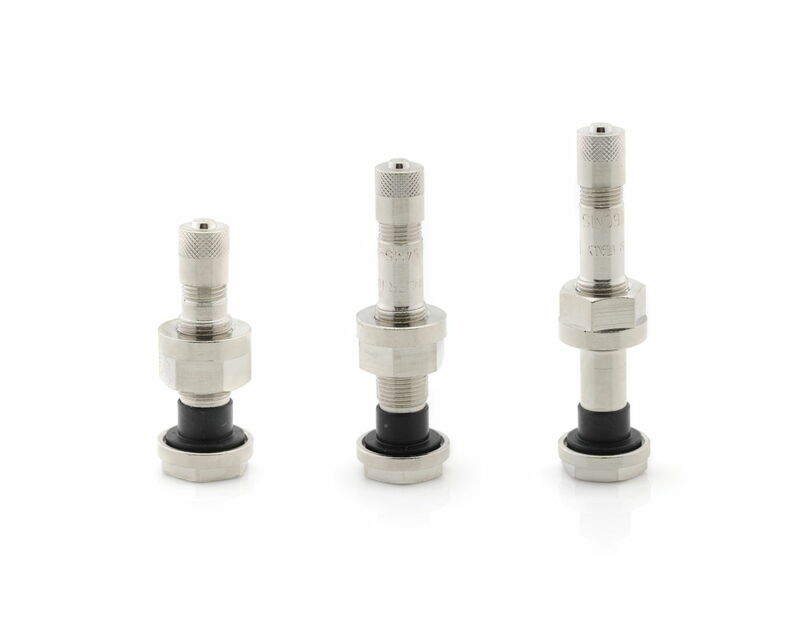 Alcoa® nickel plated tubeless valves. We recommend that the tubeless valve found in Alcoa® wheels is replaced periodically. The correct Alcoa® valves are nickel plated to prevent reaction with the aluminium wheel. All valves come with hi-pressure chrome valve caps. Upon ordering these valves we always prefer a part number from the wheel so we can supply you the correct valve. Any questions regarding this product or information in regards to locating the part number of your wheel please contact us and we will be happy to help. Please Note: You must never fit a standard brass valve in an Alcoa® wheel. Alcoa® nickel plated tubeless valves. We recommend that the tubeless valve found in Alcoa® wheels is replaced periodically. The correct Alcoa® valves are nickel plated to prevent reaction with the aluminium wheel. All valves come with hi-pressure chrome valve caps. Upon ordering these valves we always prefer a part number from the wheel so we can supply you the correct valve. Any questions regarding this product or information in regards to locating the part number of your wheel please contact us and we will be happy to help. Please Note: You must never fit a standard brass valve in an Alcoa® wheel.